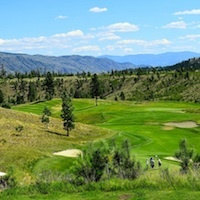 For golfers, the Thompson Okanagan region conjures up images of warm, sunny summer days and temperate spring and fall seasons. Blessed with one of Canada’s longest golfing seasons, the Thompson Okanagan presents golfers with a variety of playing opportunities. From stunning mountain courses to unique desert terrain, there is something for everyone. Along with wine tours and outdoor activities like biking and kayaking, the Thompson Okanagan is the ideal place to spend your next golf vacation. 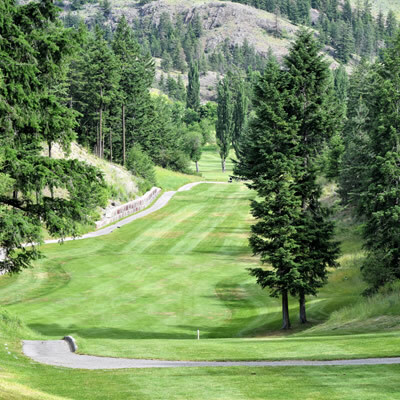 Tucked into the Similkameen Okanagan Valley is a golf course most travelers bypass, but golfers/RV’ers should visit. 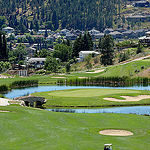 Eagle Point Golf Resort is just 20 minutes from Kamloops, but not as well-known as other courses in the area. Black Mountain is not a championship PGA tournament course, but is a good challenge for average- to low-handicap golfers. Located in a the middle of three mountain ranges, Valemount Golf Course is a beautiful place to learn the game. The name Talking Rock recognizes the ancestors of the Little Shuswap First Nation, who recorded historical events on rocks that still talk to present members.